Each season the team honors those who have demonstrated the character and spirit that reflect the values of the team. Those lucky enough to be engraved on these trophies become a lasting reminder and inspiration to the athletes of the future. Highest Cumulative GPA at the end of the season. Awarded to the most valuable lightweight rower. Must have raced as a lightweight for UCLA over the season. Awarded to the member of the program whose hard work and perseverance has been an inspiration to the team. 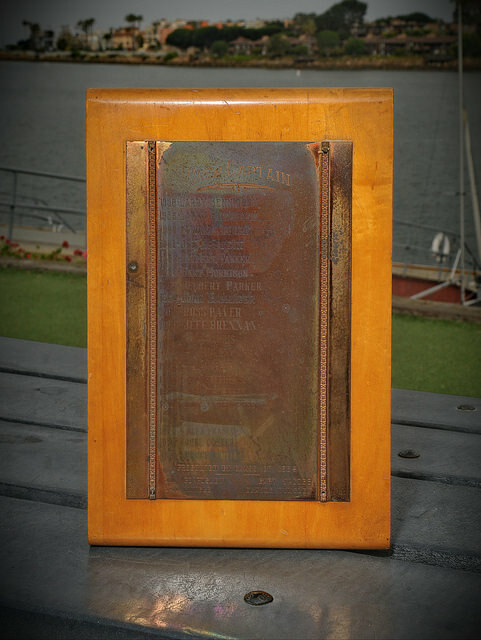 Awarded to the individual who has the consistently shown the highest levels of skill and technique in a boat. Awarded to the individual who has made the most progress over the season. Trophy donated by Mr and Mrs James W Fahrner in 1981. 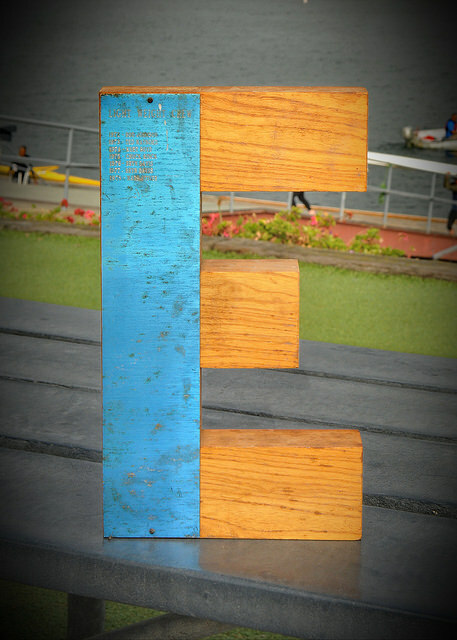 Awarded to the Novice rower who is progressing at the steadiest rate towards the highest level of performance. Ideally our next Walk On Olympian. For helping to make memories…maybe the wrong kind! The coach version. Named for the Coleridge poem "Rime of the Ancient Mariner". For helping to make memories…maybe the wrong kind! The athlete version. Teamwork, attitude, work ethic, improvement. The athlete or crew that coaches love to have on the team and are an example to others. Possibly awarded to a single worthy act of inspiration. 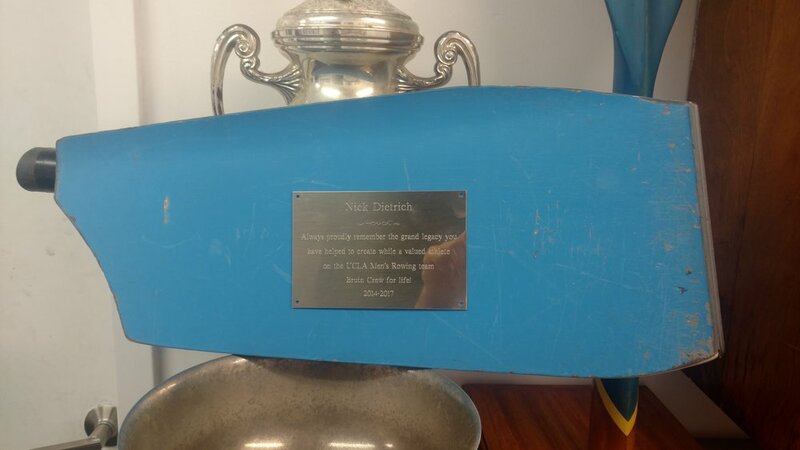 Paul Steinke was a rower and coach for the UCLA team who was very influential in building the team. Awarded to a Senior who has had an outstanding career, and has committed to the vision of the team while representing their crew, their squad and the UCLA's colors and traditions with pride. Awarded as the top Freshman honor of the program. The Freshman athlete (coxswain or rower) who has successfully started on a four year career to wear the UCLA colours with the highest levels of effort, skill, ability, sportsmanship, pride and distinction. An athlete that we are lucky to have in our crew, and who is respected by both crew and coaches. Awarded to the most valuable coxswain. Not necessarily the Varsity Eight or Freshman Eight coxswain, but certainly someone who has always strived successfully to make UCLA crews faster through effort, ability and spirit. First awarded in 2017. Awarded as the top honor of the program. The athlete (coxswain or rower) should have worn the UCLA colors with the highest levels of spirit, ability, service, effort, sportsmanship, pride and distinction. An athlete that we are lucky to have in our crew, and who is respected by both crew and coaches. Any Seniors who were a member of the UCLA Rowing team for four years. 2018: Austin Huckaby, Adela Armstrong-Spielberg, Sean Pierce, Dominic Pardini. Winner of UCLA Intra-squad pairs regatta. Highest GPA at the time of the Alumni dinner (Not for Freshman). First place in the Thanksgiving Triathlon. Current Men's course is 9km erg, 4 mile UCLA campus Perimeter run and single Drake Stadium snake. Current women's course is 7.5km erg, 3mile Campus Run and a double Drake Stadium.